....This little piggy stayed home! Look at these adorable pig cupcakes!! 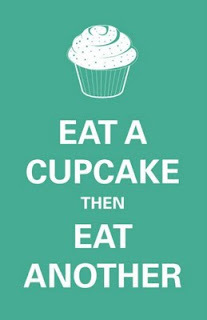 We know that not everyone knows about baking and decorating cupcakes. We get many many emails asking about different techniques. So, next month, let Lola Pearl teach you how to make and frost fabulous cupcakes! Starting October 1st, we will start a new campaign to prepare our skills and menus for the holiday season. This means that you and your friends are now able to plan a night of sprinkles, frosting and cupcakes!! REMINDER: The 2nd Annual Teal Carpet Affair is this Saturday! It’s official, the Second Annual Teal Carpet Affair (TCA) is right around the corner! Saturday, September 24, 2011 the TCA will close down Social from 7:00p to 11:00p to help raise awareness for the Ovarian Cancer National Alliance! So far the response has been tremendous and KC You There would like to forward some information onto the public attending or for those deciding to attend! Peaches are so great on many different levels. Whether you prefer peach scones, peach cobbler, bellinis, or peaches on your waffles in the morning, there is definitely a reason to can peaches! You will thank yourself in the doldrums of winter when you pop open the lid of a jar and have a bit of summer! The local farmers are saying that we are just about at the end of peach season, so this is the perfect time to can! A bountiful crop means an inexpensive kitchen project. Check out your local farm or farmers market! This was too cute not to share with the dear LP family. Imagine this on your next dessert table! This peanut butter mousse is so good, you will find yourself wanting to eat it straight out of the bowl!